Could Morse Have Patented the Web? – The Wall Street Journal. Where Have You Gone Thomas Edison? – Super Lawyers. Book Review: Why Has America Stopped Inventing? – Maryland Intellectual Property Law Blog. Stop Inventing – The Patent Prospector. Book Review: Why Has America Stopped Inventing? 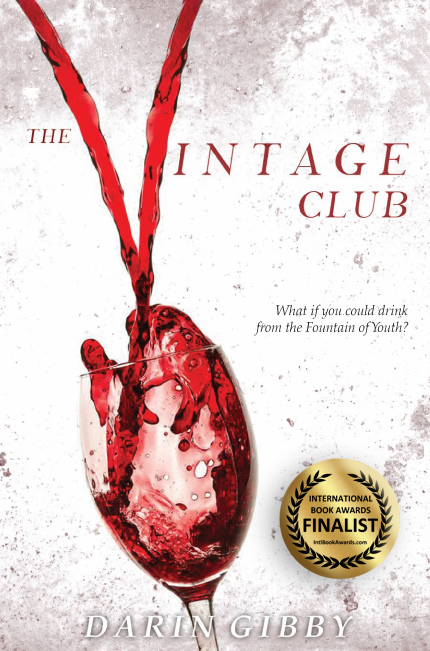 – Bookroom Reviews. Book Review: Why Has America Stopped Inventing? – Lunch.com. Patent attorney explores reduction of inventions in America – Hispanic Marketing & Public Relations. Book Review: Why Has America Stopped Inventing? – Ask David. U.S. Must Reinvent Its Patent System, Denver Attorney Says in New Book – Law Week Colorado. Haystack Broadcasting “Talk of the Gorge”. Wisconson Public Radio “To the Best of Our Knowledge”. Colorado Public Television “Devil’s Advocate” with Jon Caldara. Patents and patent laws aren’t often quite boring. Patents and patent laws aren’t often quite boring. The author did an excellent job of both being informative and entertaining. Good historical prospective about how we got here and excellent recommendations for how we can get out of the current mess. Myself and my family enjoyed this book. Myself and my family enjoyed this book. We even shared chapters with an eleven year old grandson and he liked it and learned from it. It is well written and presented. It would make a great gift or just an addition to your own personal library. Let me first say that I agree with Mr. Gibby’s premise that America has quit inventing and that it is hurting our economy. The book has an excellent review of the history of how patent law developed in the US, with the 1836 Patent Act playing the hero of the book. The Act was modeled on the patent statute in Venice in the 1400s, according to Gibby. This leads to an explosion of invention in the United States and in the economy. This story is told through the lens of the great inventors of the time, including Morse, Colt, and Goodyear. These stories are well told and compelling. The book is a fount of knowledge about the early history of inventing and patent law in the United States. The rate of innovation as determined from the number of patents increased six times from 1840 to 1850, nine times from 1850 to 1860, and 13 times from 1860-1870, as compared to the increase in population. The book claims that our per capita rate of inventing is less than half of what it was in the 1860s. The US rate of inventing has decreased over the last decade. The conclusion of the book is that our patent system is broken and this is hurting innovation and the US economy. While I generally agree with the conclusion, I believe the premise could have been better supported. Also, I think it is impossible to talk about the lack of invention without also mentioning the restrictions on raising capital by inventors. Perhaps the biggest impediment to raising capital has been Sarbanes Oxley. This is not mentioned at all in the book. The biggest downfall of the book is that the author calls a patent a monopoly. A patent is not a monopoly. 35 U.S.C. 261 makes it clear that a patent is personal property. Patents have all the attributes of property and none of the attributes of a government monopoly. Property rights arise from of the act of creation – but for the creator the item would not exist, therefore they have a property right in the item. Inventing is creating a new product, process, or service that did not exist before. The fact that a patent attorney could make this mistake is hard to believe, but more importantly I believe this completely undermines the thesis of the book. The book has a number of specific proposals for fixing the patent system. Complex Patent System: The book states that the biggest reason for our inventive decline is the overly complex, over administered, and underfunded patent system. I agree that our patent system has become overly complex, too expensive, and overly officious. The author believes this is the result of a judicial reaction to the Wright brothers’ patent, which he believes was too broad. Here I completely disagree with the author. The Wright brothers’ patent broadly claimed the ability to control an airplane by “having lateral marginal portions capable of movement to different positions above and below the normal plane” of the wing.” ([…]) The author believes the Wrights only invented wing warping. I disagree. The Wright brothers clearly showed that any method of altering the flow of air over the wing could be used to control the airplane. If the Wright brothers had been limited to the author’s interpretation, then Glenn Curtis and others would have been able to free load off of the Wright brothers’ invention. The author also argues that the growth of the airplane industry was retarded by the Wright brothers attempting to enforce their patent. This argument is also made by anti-patent forces and is without any logical basis. We have no idea how long it would taken for someone else to have created a controllable airplane if the Wright brothers had not done so. It is just as likely that, but for the Wright brothers it would have taken years for someone else to invent control surface for airplanes. If there was any delay in the development of the airplane, it was the fault of Glenn Curtis and others who refused to pay the Wright brothers for their invention. I think it is also inexcusable that the book does not mention the detrimental effects of antitrust law on patents. The anti-patent backlash in the early 20th century was not a result to the Wright brothers patent, but to the rise of antitrust law. The author’s lack of understanding that patents are a property right and not a monopoly has blinded him to this simple fact. Require Models: The author wants us to return to a patent system that requires models. He suggests that computer models would be acceptable, so we would not have the problem of storing these models. The author’s main reason for this requirement is based in the belief that the Wright brothers, Seldon, Bell and others received overly broad patents or really were not the true inventors. In the case of Bell, the author suggests that Bell’s attorney copied Elisha Grey’s patent application by hand into Bell’s application upon filing the Bell application. I cannot comment directly on these assertions. But the book does not even mention that there was an interference between Bell, Grey, and Edison (see Bell […]). All of these inventors had top patent attorneys and I seriously doubt that hand copying part of another person’s application would have survived very long in an interference. The author seems to want to use models to limit the scope of the claims. This would allow inventors who improved another person’s invention not to have to pay royalties for using their underlying invention. I don’t see any advantage to this system and I believe the author has fallen for the anti-Wright brother, and anti-Bell propaganda. Abolish Obviousness Standard and Doctrine of Equivalents: The author makes a strong case for abolishing the obviousness standard, which I agree with. He explains that the obviousness standard is subjective and unworkable. He suggests that the doctrine of equivalents and the obviousness standard are opposing ideas used to overly broaden or overly narrow the rights of an inventor. I did not initially agree with the author, but he made strong points in defense of his thesis. Specifically, he argues that eliminating the obviousness standard would allow inventors to craft their claims to correctly define their invention. As a result, he believes that it would be unfair for inventors to then be able to expand/change the scope of their invention in litigation. The only problem with the author’s argument is the doctrine of equivalents has been dead for all practical purposes for at least twenty years. The author also makes the excellent point that eliminating the obviousness standard would significantly reduce the backlog of unexamined patents. His reasoning is that moving to an objective system of patentability would eliminate a lot of wasted effort on the part of the Patent Office and Applicants. Cut the Current Twenty-Year Patent Term in Half: I disagree with the author and I think his point of view is based on the erroneous belief that patents are a monopoly. Shortening the term for patents is likely to reduce the value of investing in new inventions. This would decrease the rate of new technologies being created and introduced into the economy. The result would be slower economic growth and lower per capita incomes. Curtail the Continuation Practice: Continuations are critical for start-up companies to reduce their cost. While I agree that eliminating the obviousness standard would reduce the cost of filing patent applications, this advantage is unlikely to be enough to protect our highly innovative start-up companies. First to File System: The author buys into the absurd idea that eliminating interferences is going to free up resources at the Patent Office. With less than 100 interferences a year, this is very unlikely to occur. He also argues that this will be good for individual inventors and startups. While he is correct that interferences are too expensive for individual inventors (start-ups), the solution is not to subvert the Constitution and award exclusive rights to the first person to file instead of the inventor. The solution to this problem is to reduce the absurd cost of all federal litigation. There have been several studies on the effectiveness of changing from a first to invent system to a first to file. All these studies have shown a decrease in patenting by the most innovative groups in our country – namely individual inventors and start-ups. Conclusion: Overall there are many important points in this book. But the author’s incorrect labeling of a patent as a monopoly undermines many of the most important points he is trying to make. Author Darin Gibby is a patent lawyer who has become increasingly frustrated with the cumbersome patent process here in the United States. He believes that the unreasonably long delays and outlandish costs associated with obtaining a U.S. patent these days has stifled innovation while virtually shutting out ordinary Americans from the process. In his new book “Why Has America Stopped Inventing?” Gibby presents the checkered history of patent law in these United States and argues vigorously that the number of patents issued has actually plunged in recent decades and that substantial reforms are needed to encourage inventors to focus on the serious problems that threaten us today such as finding solutions to America’s long-standing energy problems. Creating downloadable apps for our smart phones is nice but in the long run does very little to help us address the nation’s most urgent needs. Eli Whitney was the first of America’s great inventors. He solved the riddle of how to seperate seed from cotton fiber. His cotton gin would revolutionize the American economy. But patent law was very primitive in the early days of our nation and although he managed to receive a patent in 1794 he could do little to stop mass infringement on his invention. Cotton production boomed but sadly Eli Whitney would never reap the rewards of his invention. The experiences of Eli Whitney and other early inventors prompted Congress to make drastic changes to the Patent Office in 1836. Darin Gibby discusses the ramifications of these changes in a chapter entitled “A New Patent Office and Statute”. 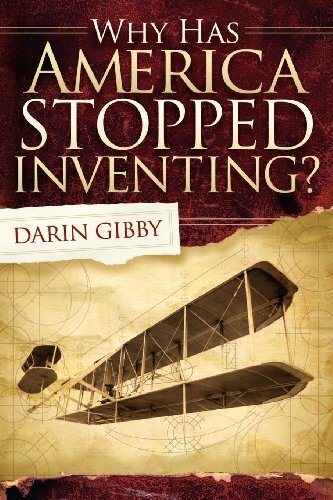 In the final chapters of “Why Has America Stopped Inventing?” Darin Gibby offers up some concrete suggestions to encourage inventing in America once again. He favors policies that would encourage what he considers to be the most important class of inventors–the solo tinkerer or small technological start-up companies. Gibby believes that too many potential inventors have opted for the comfy life at the R&D departments of major corporations. Furthermore, Gibby believes that our patent laws need a major overhaul because right now the staggering cost of inventing things and obtaining proper patents favor huge corporations. And finally, in the earliest days of patent law, models were required. Gibby firmly believes that full-scale working models should become a prerequisite for obtaining a patent. Some would argue that this would be much too burdensome for the Patent Office but as Gibby points out videos could be submitted showing how the invention was built and precisely how it works. Gibby believes tha requiring models would eliminate lots of frivilous patent requests and help to speed up the entire process of obtaining a patent. There is plenty of food for thought in “Why Has America Stopped Inventing”. This is a topic I had read precious little about previously. I believe that Darin Gibby has made a very compelling case for the changes he is calling for. This would be a great choice for history buffs, tinkerers and general readers alike. Highly recommended! Mr. Gibby’s book makes an excellent case for sensible patent reform that better protects the small inventor. He uses 19th patent history to paint a picture of the need for balance between inventor protection (and the promotion of future invention) and technology distribution. The stories about the 19th century patent wars are particularly enjoyable. Mr. Gibby has a stylistic gift for narrative and does a great job of bringing the “inventor’s passion” to life. This comes through in both the sad stories (Eli Whitney, Catherine Green) and the heroic ones (Morse, McCormick, and especially Goodyear with his multiple trips to debtors’ prison). It’s remarkable how many key 19th century leaders got involved in patent cases — Lincoln, Chase, Stanton, Webster, Ellsworth, et al (where are those leaders today?). This “small inventor’s perspective” really helps when Mr. Gibby gets to his recommendations on how to fix the system. These recommendations make a lot of sense and follow logically from his historical narrative — especially his proposal to do away with the obviousness standard and the doctrine of equivalents. It almost makes too much sense (for today’s Congress?). I recommend this book for a read that is both enjoyable and informative! Mr. Gibby’s book makes an excellent case for sensible patent reform that better protects the small inventor. He uses 19th patent history to paint a picture of the need for balance between inventor protection (and the promotion of future invention) and technology distribution. The stories about the 19th century patent wars are particularly enjoyable. 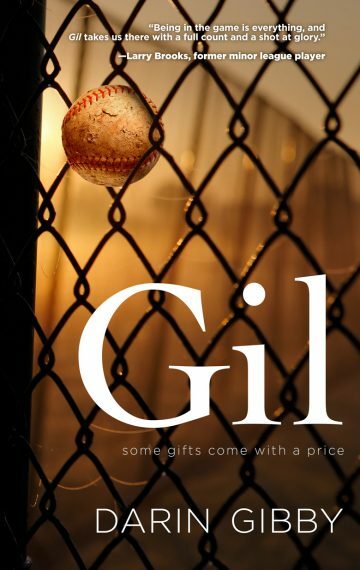 Mr. Gibby has a stylistic gift for narrative and does a great job of bringing the “inventor’s passion” to life. This comes through in both the sad stories (Eli Whitney, Catherine Green) and the heroic ones (Morse, McCormick, and especially Goodyear with his multiple trips to debtors’ prison). It’s remarkable how many key 19th century leaders got involved in patent cases — Lincoln, Chase, Stanton, Webster, Ellsworth, et al (where are those leaders today?). This “small inventor’s perspective” really helps when Mr. Gibby gets to his recommendations on how to fix the system. These recommendations make a lot of sense and follow logically from his historical narrative — especially his proposal to do away with the obviousness standard and the doctrine of equivalents. It almost makes too much sense (for today’s Congress?). I recommend this book for a read that is both enjoyable and informative! Patenting has always been a messy business, and America has always struggled with how to protect its inventors, according to Darin Gibby in this book. A modern inventor faces a drawn-out and expensive battle with the Patent Office in applying for a patent, and the cost rises to millions of dollars if the patentee seeks to enforce a patent, with very little certainty at the end of the process. But America’s first inventors also encountered hardships and obstacles in protect their creations. * Eli Whitney provided a tremendous boost to the American economy by inventing a machine that removed seeds from cotton, but he tried to charge too much and courts refused to uphold his patent. * Charles Goodyear spent years trying to make a rubber that did not melt in hot weather. When he finally invented the vulcanization process, his invention was stolen and he faced years of litigation to protect his rights. * Sam Colt would have gone bankrupt if he had not been saved by the war in Mexico which increased demand for his patented gun. * Samuel Morse struggled for a long time to convince the government to install telegraph lines to take advantage of his invention, and when funding became available he was forced into patent battles against blatant infringers. * Isaac Singer created the most popular sewing machine, but became ensnared in a patent battle over the prior patent rights of Elias Howe. Problems with overlapping patents were eventually resolved by the creation of a patent licensing pool, and Howe became a millionaire even though he never produced a commercially viable sewing machine. The book also includes stories about Cyrus McCormick, Alexander Graham Bell, George Baldwin Selden (a patent attorney whom the author describes as the first patent troll), Guglielmo Marconi, Thomas Edison and the Wright Brothers. * Reintroduce the requirement for patent applicants to produce working models of their inventions. * Abolish the obviousness standard and the doctrine of equivalents. * Reduce the twenty year patent term to ten years. * Curtail the continuation practice which keeps patent applications pending for years. * Go to a first-to-file system in place of the first-to-invent system. Interestingly enough, the last of the author’s recommendations is already being implemented in the America Invents Act of 2011. Do his other recommendations actually solve the problems with patents that the rest of the book so vividly illustrate? They might help, but it seems to me that a significant problem illustrated by the stories is the ability of the patentee to use the patent monopoly capriciously to hold up progress. If useful inventions are encouraged by the prospect of huge rewards, then surely it is possible to structure those rewards in a manner less antagonistic to the interests of society, for example by means of a compulsory licensing scheme whereby the inventor is rewarded with royalties but cannot prevent others from using and building upon his or her invention. If it was feasible, such a scheme could potentially make patents much less expensive to enforce and much less of a threat to industries. I thoroughly enjoyed reading about many of America’s famous inventors, and contemplating the author’s ideas for reform.